A NEW LOOK, NEW COURSES, AND NEW DIRECTIONS!!! Ophthalmicedge.org began in January 2010 as a free, clinical, academic training site for diagnostic contact B-Scan ultrasonography. The program consisted of 10 professionally animated lectures for ophthalmic physicians and personnel who had an interest in developing a basic understanding of the field. Over the course of the last 7 years, the site has acquired a worldwide web audience. Since then, courses and programs have been added in a variety of topics, ranging from alternate forms of retinal imaging to surgical techniques, and including contributions from respected experts in the field. 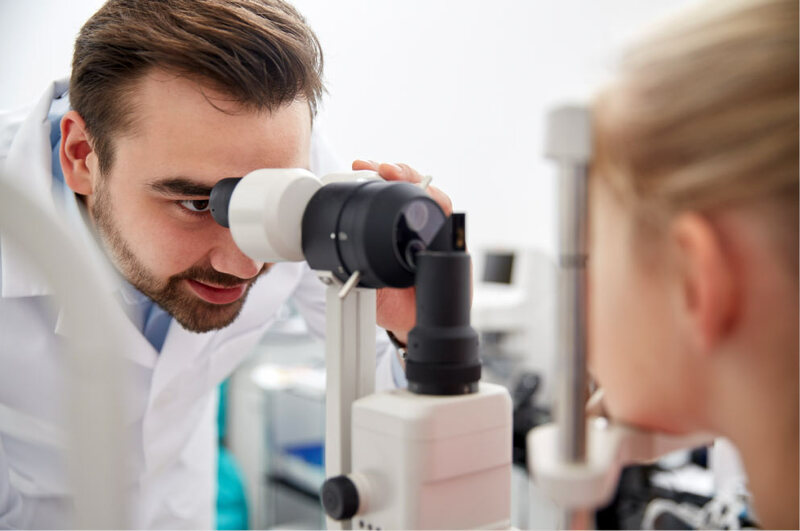 Recent improvements in web design and an expanding audience prompted this new version, which intends to address a greater span of ophthalmic topics with a similar approach. WHAT’S NEW AND WHAT YOU CAN EXPECT! ALL PREVIOUSLY POSTED LECTURES WILL REMAIN AND IN SOME CASES HAVE BEEN AUGMENTED. CONTRIBUTIONS OF CASE STUDIES ARE ARCHIVED UNDER THE MORE EXTENSIVE LECTURES AS LIBRARY EXAMPLES, AND THE Q&A SECTION WILL CONTINUE TO BE AVAILABLE. This new section addresses advancements of the diagnostic B-Scan, which now allow for rapid scanning of the posterior and anterior globe. A simplified, sterile, miniaturized water bath attached to the separate 40-megacycle probe permits rapid assessment of the anterior portion of the eye. Software and hardware changes allow for instant storage of images and movie segments. The review and download process has also been streamlined, enabling comparison to previous exams. THE SITE WILL ALSO BE EXPANDING TO AREAS OUTSIDE OF RETINA. is expected to launch in late March 2017. Over recent years, much has changed in the availability of reading aids and magnifiers, especially with the advancement of “smart” devices. The development of new technology will often coordinate with and link to other forms of aid, such as “audio “directional maps. Ironically, those who would benefit the most from these developments (patients with impaired vision) are often unaware of their existence. We hope to provide up-to-date information for patients who are struggling to adapt to their visual impairment. We recognize that even SMALL improvements can make a BIG difference. Our new site will be staffed by professional volunteers and patients who have first-hand experience in the field of impaired vision. FURTHERMORE, IDEAS CONCERNING MAGNIFICATION (WELL-KNOWN AND NEW) AS WELL AS SUGGESTIONS FOR LIFESTYLE CHANGES WILL BE PRESENTED IN A PATIENT-FRIENDLY FASHION. IMPROVEMENT IN QUALITY OF LIFE IS OUR GOAL. A Q & A SECTION WILL ALSO BE AVAILABLE FOR PATIENTS. WE ARE VERY EXCITED FOR THE LAUNCH OF THIS THIRD VERSION OF OPHTHALMICEDGE. WE INTEND FOR IT TO CONTINUE AS A VALUABLE RESOURCE FOR PHYSICIANS AND OPHTHALMIC PROFESSIONALS, AND WE HOPE THE PATIENT-FOCUSED ADDITION WILL BECOME A SOURCE OF INFORMATION AND TOOLS FOR PATIENTS TO IMPROVE THEIR QUALITY OF LIFE. WE WELCOME YOU TO JOIN US AND TO HELP WITH NEW CONTRIBUTIONS. Why Is “Real Time” So Important To Diagnostic B-Scan Ultrasonography? It Isn’t – It’s CRITICAL!